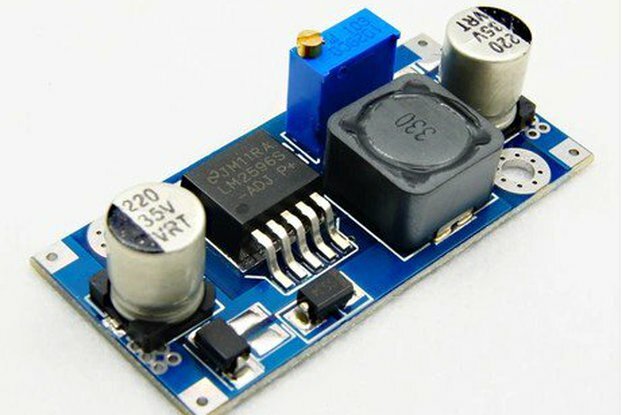 This is a dc dc step down buck convertor module which acts as a power supply, can be used on arduino projects or any project. 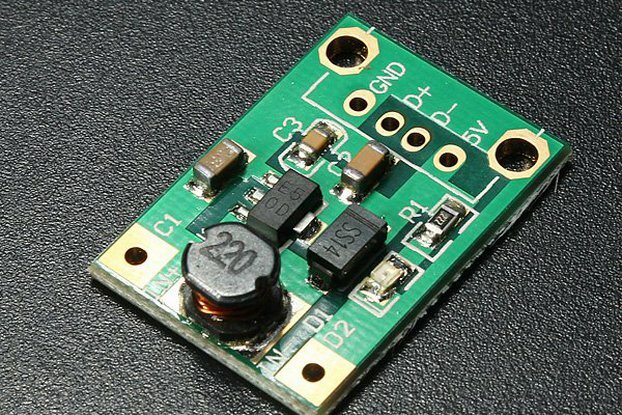 DC-DC high efficiency switching buck converter. 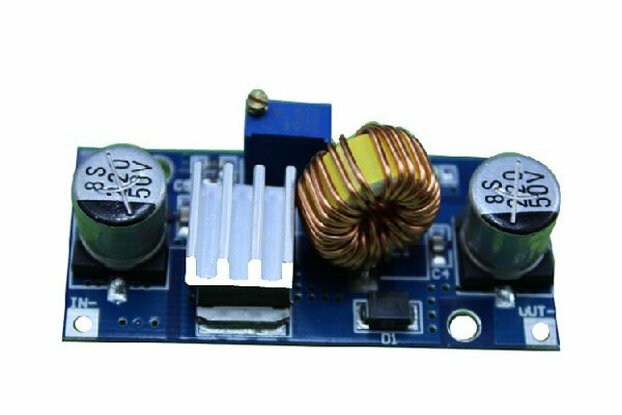 The DC/DC 5A buck module is for applications where the input voltage is higher than the desired output voltage, such as battery applications, power transformer, DIY adjustable regulated power supply, 24V notebook power supply, industrial equipment. 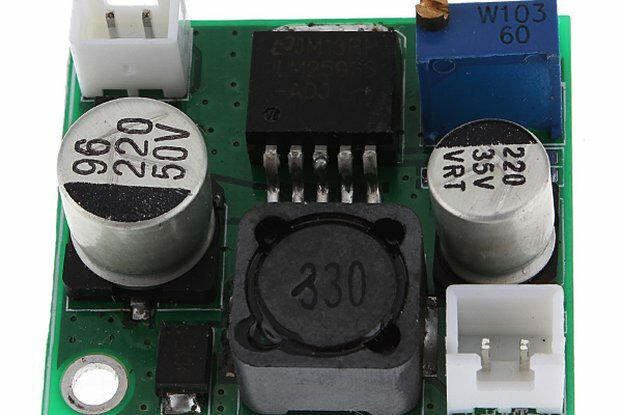 12V buck to 3.3V, 12Vbuck to 5V, 24V buck to 5V,24V buck to 12V, 36V buck to 24V etc. DIY adjustable power supply, industry buck equipment, 12V to 3.3V, 12V to 5V, 24V to 5V, 24V to 12V, 36V to 24V etc. 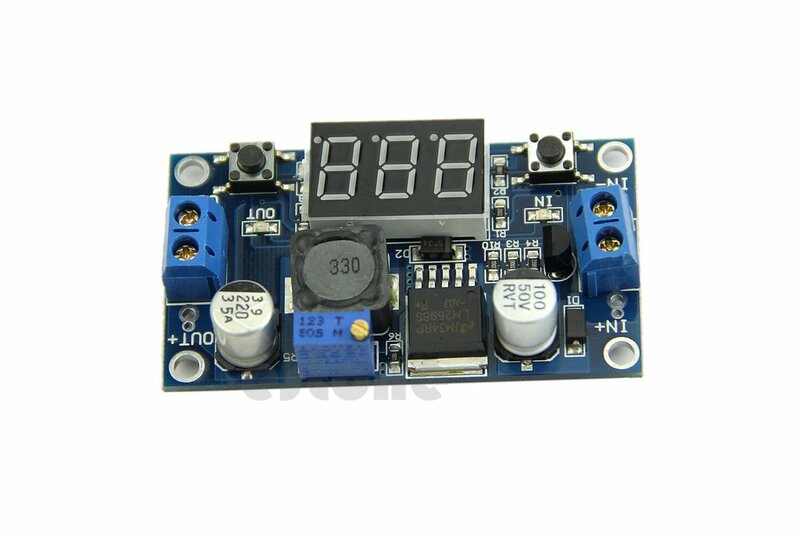 ·If you can not adjust the voltage, it may due to potentiometer is in too high resistance, you need to adjust the potentiometer dozens times by turning counterclockwise, so that you can adjust the output voltage.